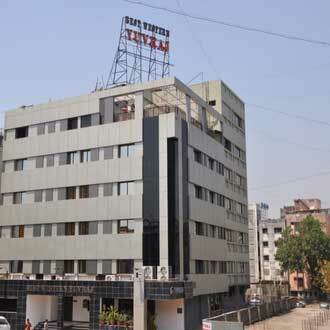 Conveniently located just opposite the railway station, this 4 Storey hotel maintains 54 rooms. Guests are offered complementary breakfast at the restaurant between 7.30a.m to 10a.m and can also relish on a vegetarian multi-cuisine fare in the Mausham Restaurant and for an authentic Gujarati thali there is the Parampara, a specialty restaurant. A party hall for 400 people is also maintained, enabling corporate travelers to organize corporate functions as well as social gatherings.